The fragile Palace of fine bamboo, made by the skilled Tazia makers of Jaipur, is architectural drawing in three dimensions.Tazia artisans commemorate the house of Hussain and the festival of Mohurrum by building bamboo and paper replicas of their most treasured buildings. To make a living throughout the year, Tazias are making buildings for decoration, appreciation and commemoration of architectural space. “Ayush Kasliwal Design Pvt. Ltd.” (AKDPL) is a design-driven, quality-conscious company involved in the manufacturing of high quality furniture items that are now finding their way into design showrooms the world over. The company has the brand “AKFD”. Their products offer a fresh twist to traditional crafts, making cutting edge artifacts, accessories, textiles and furniture. AKDPL has also been doing projects the world over and has been supplying to prominent international design companies, giving them access to the rich world of Indian crafts. In a relatively short span of time, the company has built up a very good reputation, and has received attention from the worldwide media, as well as by connoisseurs of art and design, again, globally, giving them the confidence that the time is right for this. Their products are part of many private collections and being carried by prominent international design people, Some of the best design stores in the world have presented their works in London, Paris, Tokyo, and New York. 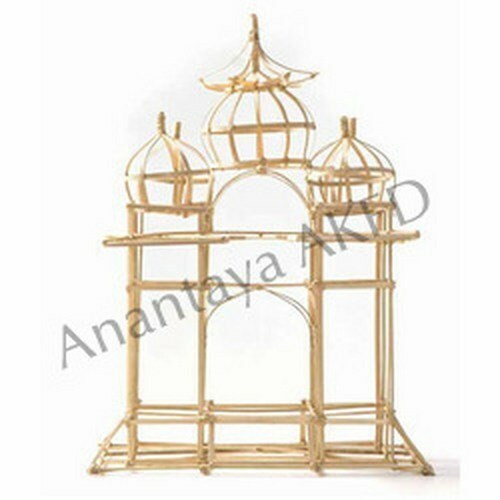 AKDPL has its own manufacturing premises in Jaipur, Additionally, a wide network of skilled craftspeople enable the company to be flexible, and get the best that each has to offer. Ayush Kasliwal, an alumnus of the National Institute of Design, Ahmedabad, founded AKFD, an interdisciplinary design company based in Jaipur, India in 1997. His projects are as diverse as furniture, lifestyle products, textiles, interiors and large scale installations. AnanTaya AKFD has been recognized internationally with the UNESCO seal of excellence award in 2007 and 2008. In September 2008, Ayush was showcased in the Talents a La Carte section of ‘Maison et Object’ in Paris. The design company Edition Nouveau Objet (ENO), launched Ayush as a designer, alongside Arik Levy and Paola Navone. He is one of the few Indian designers to license products to MATER, a Danish ethical design house. He was a finalist in for British Council’s Young Creative Entrepreneur 2011 Awards. He completed a major art installation, (in association with Incubis Consultants, Delhi) of “Mudra and Disks” at the T3 at the Delhi International Airport, a visual feast for arriving passengers. Ayush Kasliwal is the Elle Decor International Design Awards (EDIDA) winner of 2013. Ayush’s work is informed by traditional artisanal crafts and reflects a deep understanding of mythology, architecture and culture through a contemporary aesthetic.